Time for another instalment of my 2015 favourites, and this time is fashion. I would have liked more photos for this post to show you guys my favourite pieces from this year, but alas the weather has not been on the bloggers' side. Though I love the rain, how when your inside and all you can hear is it hitting the window, when trying to take photos it isn't the best. But I might be able to find some old photos from previous posts that might be able to help me, so I'm just warning you if the back ground changes. My first fashion favourite of 2015 is checkered top. I'm absolutely in love with this top no only does it have a monochrome colour scheme meaning I can wear it with pretty much everything, but also the peter pan collar. I love peter pan collars. They're so cute and adorable. I would fill up my whole wardrobe with peter pan collared tops if I could. So anyway yeah, I've been wearing this top quite often even if I did only get it later on in the year, but due to wearing it so much I thought it deserved a place in my favourites. 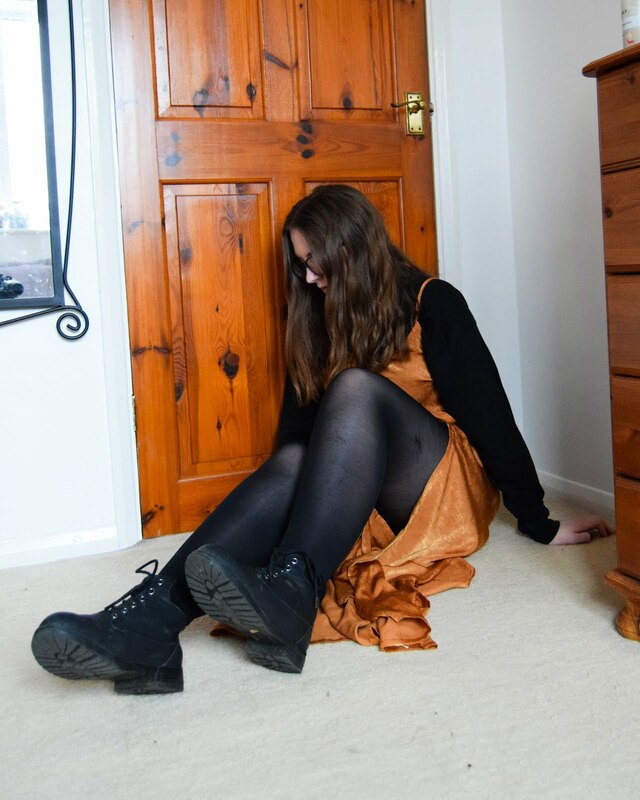 My next favourite are these black boots (using such an old photo as right now they are covered in mud) which I have been my go to shoe for the majority of the year. I have no idea if they're still in stock but I got them from Newlook earlier this year after eyeing them up for ages. 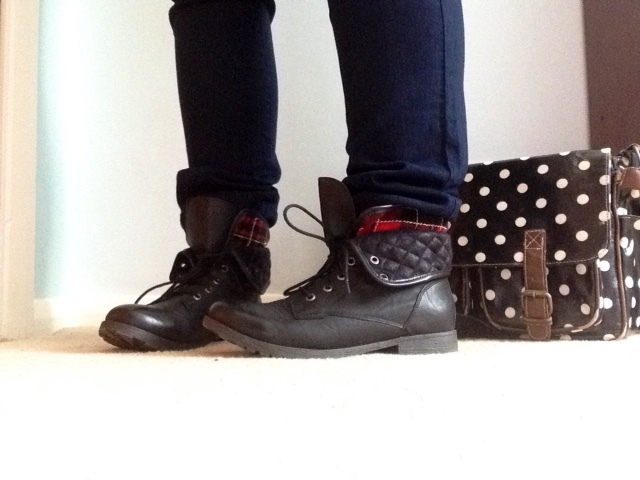 I found this year I've been finding what my style is and I have to say that I'm definitely a boot kind of girl. They're comfy and keep my feet warm, as well as being able to go with a whole load of different outfits. Next I apologise for the fact the background changes, but lets go back to a time where the lighting was good to us bloggers. If you've been around for a while now here you will recognise this favourite. This green jacket has been in many of my outfit posts, and has been a piece of clothing I've been reaching to a lot. It has been a perfect jacket these last few months where the weather has been warm and then cold the next, with a lot of wind as well. It has kept me warm as well as being light enough that it doesn't matter on the weather change and the need to carry a jacket round all the time. In addition the pockets in it have been perfect for college and holding everything now I no longer have a blazer like at school. Plus I've also been loving this green colour. I'm not normally one who reaches for green much but this was a great new piece for my wardrobe which is expanding its colour range away from only monochrome. So that has been pretty much all my favourites from this year as well as a blue parka which I couldn't get pictures of because by the time I was ready to take them the lighting was just not at all what I would like. I haven't really had that many fashion favourites this year considering before July I was still at school so had a uniform so there was less chances for me to wear casual clothes. Anyway what have been your go to fashion pieces over the last year? I really want to experiment with my style so comment below some suggestions.